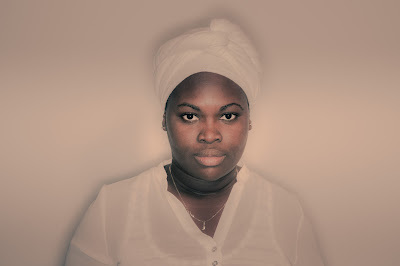 The majority of the set was from Arocena’s recent debut album Nueva Era (reviewed in London Jazz News on 11 May, link below), and I pondered in advance how they would cope without the massed vocal harmonies that are such a feature of the album. As it turned out, apart from using a couple of introductory backing tapes, they simply re-arranged the songs for a smaller ensemble. Daymé is such a one-woman musical powerhouse that she could probably have done the entire gig a cappella. But it was the singer – charisma and confidence on full blast - who really held the audience’s attention throughout. There was an especially loud roar of approval for the single Don’t Unplug My Body, which has been receiving airplay in recent weeks.